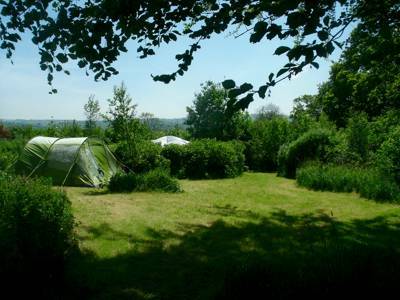 All our pitches are snuggly carved out of the surrounding woodland. 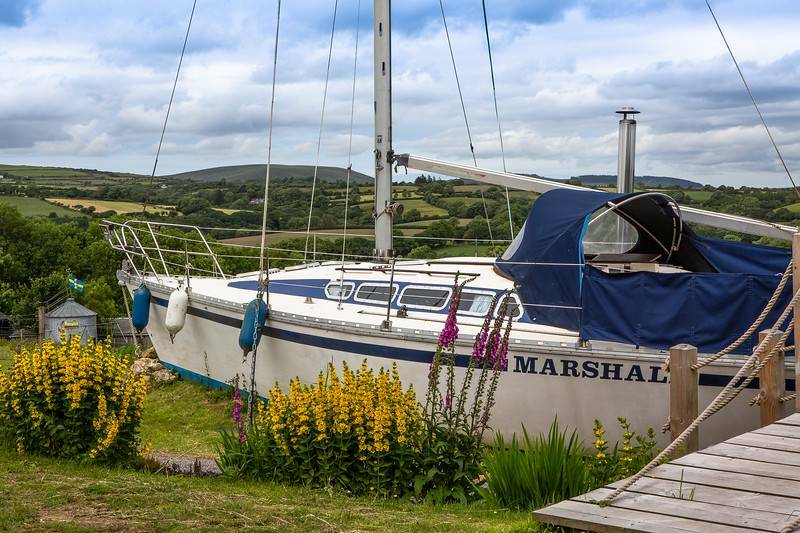 Private with just glimpses through the trees of your nearest neighbour. 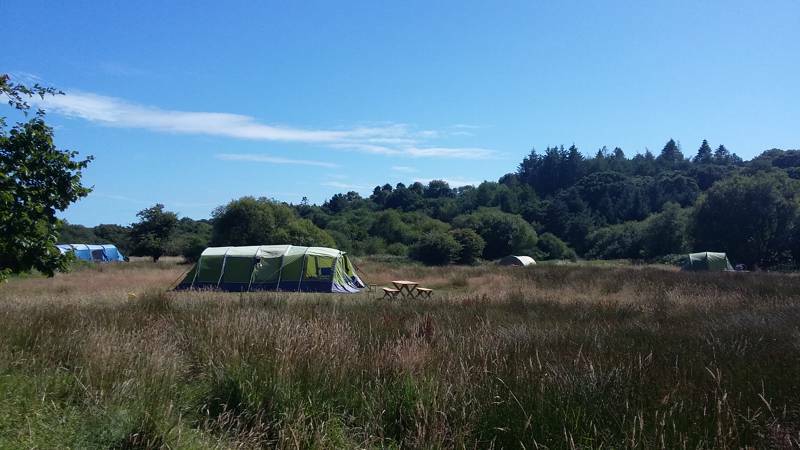 Spacious enough to fit the largest of modern tents and all with their own covered campfire area, 'ensuite' compost toilet and picnic table. 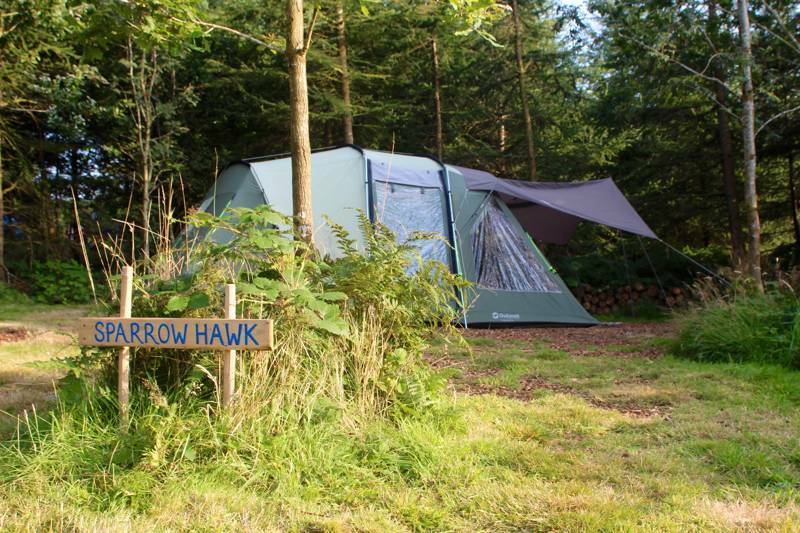 With just nine pitches set in a whopping 60 acres, Kitewood must surely be one of the UK’s most spacious campsites. 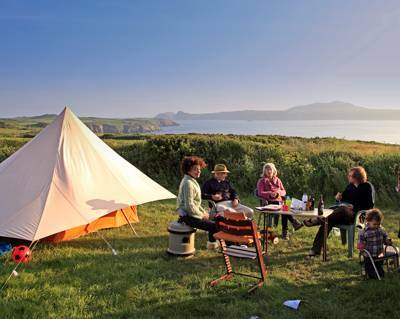 The scattering of generously-sized pitches can easily accommodate the largest modern tents and swanky canvas creations. Facilities are very much of the green variety, with innovative and immaculate composting 'i-poo' loos (one per pitch, so no need for queuing). Campers also get their very own covered campfire area complete with picnic table and folding wood fire grill... with as much complimentary firewood as you can burn. 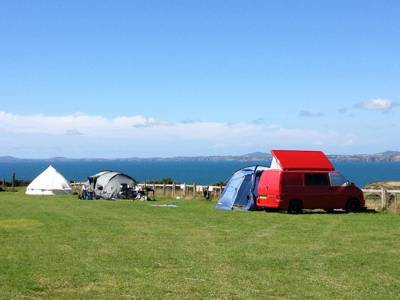 There are two roomy, clean showers with plenty of hot water and a separate washing up area. These are all housed in beautiful timber-framed, canvas-topped structures nestled seamlessly into the woods. With open moorland spaces between the woodland areas, there are nearly 4 km of paths around the site plus numerous 'rabbit runs' linking sites and facilities, not to mention a safe adventure land for children (just watch them turn feral). Most pitches are accessible by car for unloading and loading during all but the worst of weather, all the site itself is completely car-free. 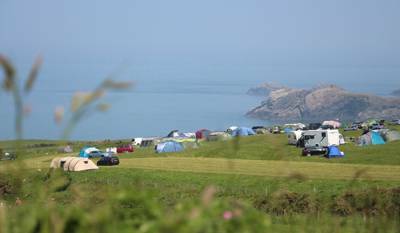 For those less sun-blessed days, park the car in the yard (300 metres away) and pick up a wheelbarrow to trundle your gear to camp. 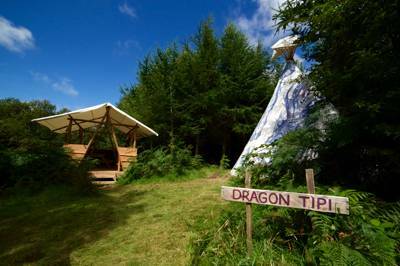 For those less enamoured with guy ropes and peg hammers, there's also a tipi for hire... or rather, a psychedelic 'Dragon Tipi' emblazoned with full colour fairytale dragons designed and created by the local children’s author and artist Jackie Morris. Furnished inside with a proper double bed and two smaller futon beds, it also boasts a full camp kitchen nestled in the trees. 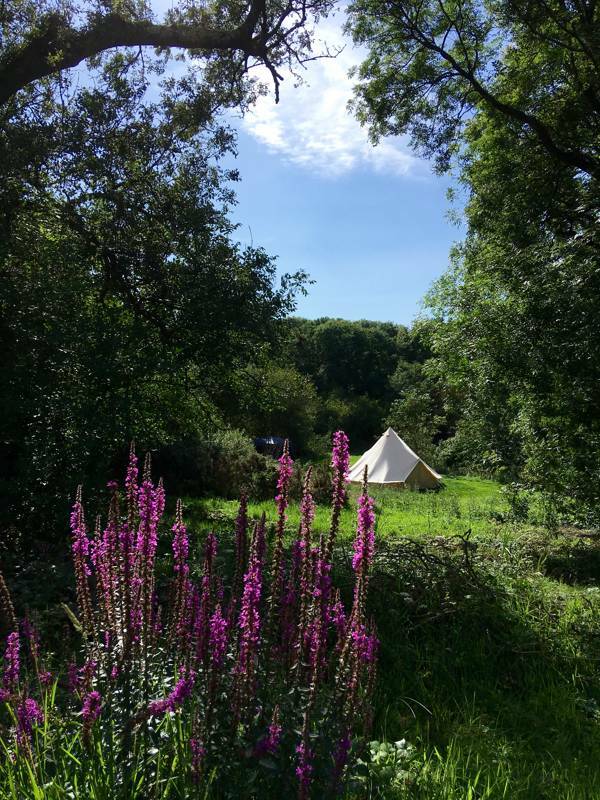 For camping couples seeking sylvan solitude, experience Kitewood in June or July when the weather promises the best and you’ll wonder if there's even another soul on site. Kitewood is helmed by the affable David and Sarah, who camp onsite with for the entire season. David is a proper woodsman, making charcoal, giving bushcraft demonstrations, and managing the woodland throughout the year. The couple's personal hosting really makes you feel like you are one of the family and not just a guest. David will take groups on pond dipping excursions to discover the hidden mini beasts of the woodland ponds and in the evenings you can join him for an evening bat walk. 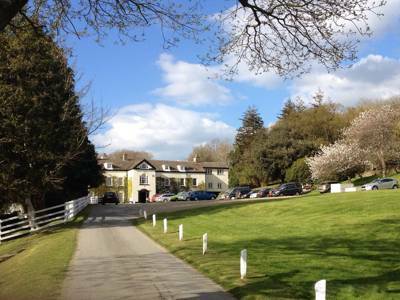 Wildlife abounds at Kitewood. 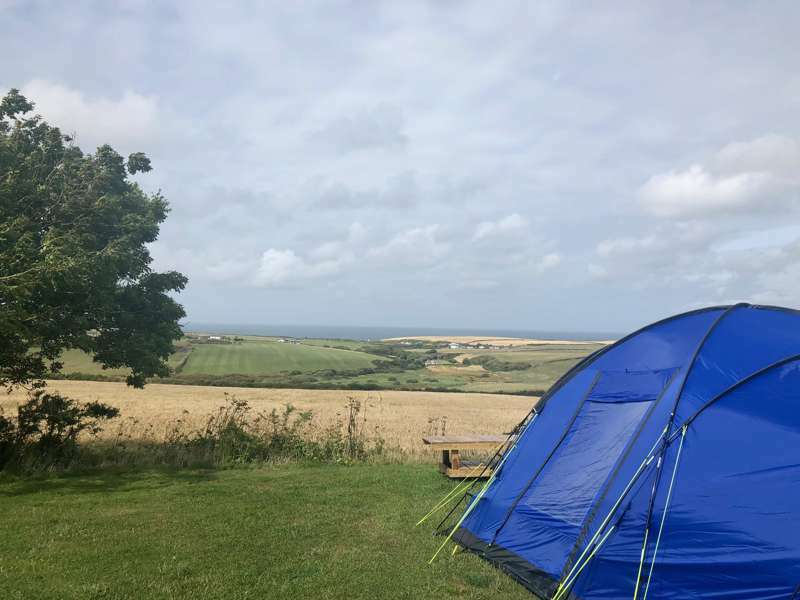 Life slows to a snail's pace here the moment your tent is pitched. 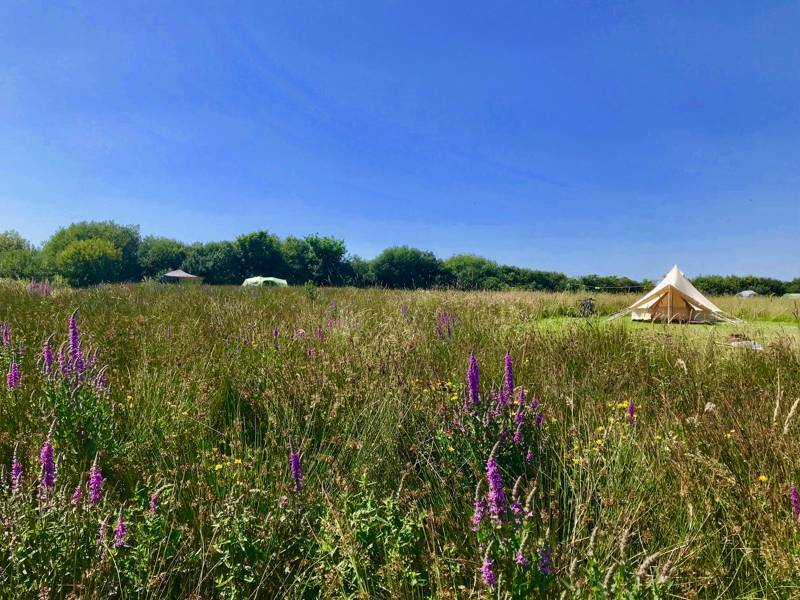 Settle down and soak it all in – recline barefoot in a private glade, a blade of grass in your mouth, watching squadrons of dragonflies patrolling their woodland domain and, of course, the titular Red Kites soaring over this magical pocket of Pembrokeshire paradise. From £37.50, including 2 people sharing. 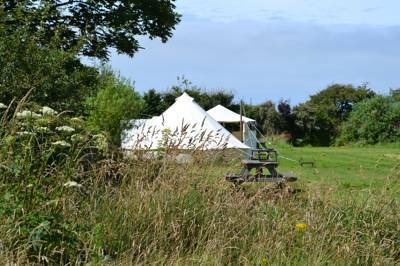 Dragon Tipi from £95 per night. All firewood and facilities are free. Minimum week-long stays in High Season (Sat-Sat). 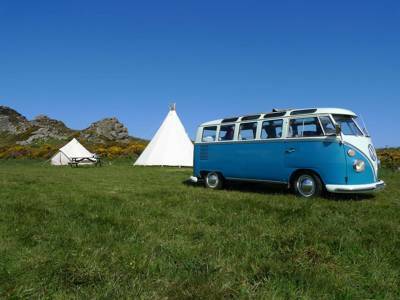 All other times, minimum 2-night stay for Hideaway camping and 2-night stay for Dragon Tipi.